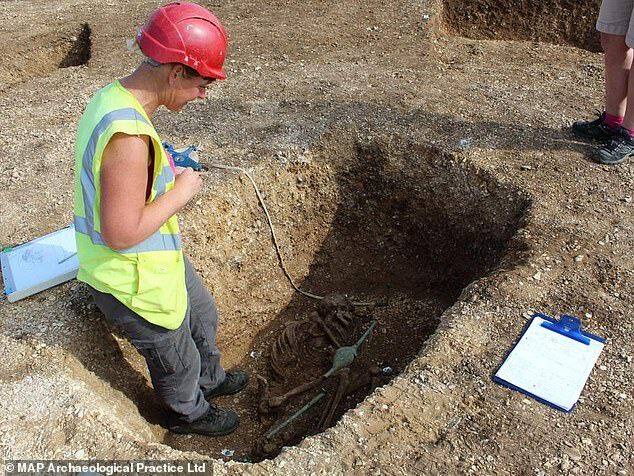 Archaeologists have unearthed the grisly remains of an Iron Age warrior buried 2,000 years ago in Yorkshire. His body was found riddled with holes from nine spears – five with iron tips and four tipped with bone – and he’d been hit in the forehead with a blunt object, possibly hard enough to kill. But, it wasn’t battle that gave rise to the gruesome injuries. Experts say all of the attacks appeared to have taken place after his death, between the ages of 17 and 25, in a possible attempt to essentially kill the warrior again. Among the numerous explanations proposed to explain the unusual burial, researchers say the evidence lines up with ancient traditions designed to ensure suspected vampires would not rise from the grave after death. 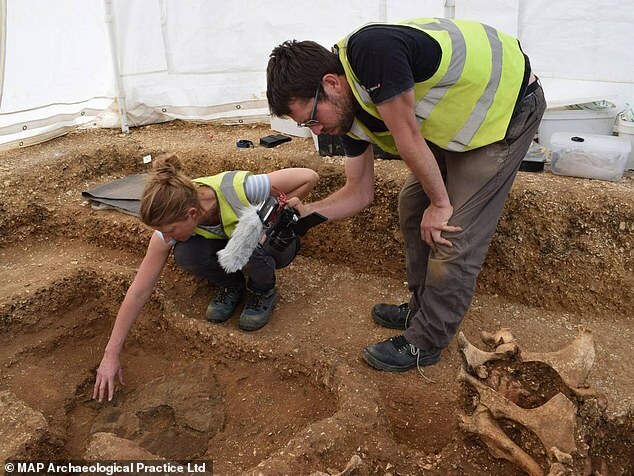 The 3rd century BCE grave was found near the town of Pocklington alongside the burial of a similarly-aged woman who suffered from spina bifida, according to The Independent. 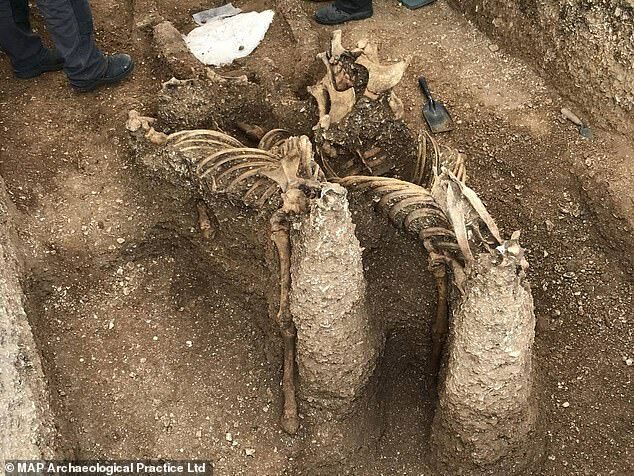 Nearby, the team also found the grave of an elderly who was buried in his chariot with two ponies – who were probably put there while they were still alive, before ultimately being decapitated after it was filled in. 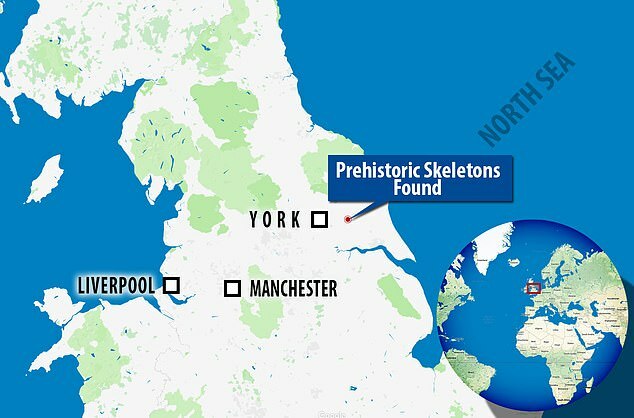 The unusual discoveries in Yorkshire have sparked countless questions, and researchers with the MAP Archaeological Practice are now working to understand what happened at the site thousands of years ago. There are three leading hypotheses as to what may have happened in the case of the young warrior, according to The Independent. He may simply have died of natural causes, some experts say. If so, it’s possible those who buried him did so in a ritualistic manner to give him a true warrior’s death. In addition to the post-mortem injuries, researchers also found that his shield had been dismantled. The team also says this could be evidence of an ancient vampire-killing ritual; as with many other such burials, the objects used to pierce the body were left in their place. Similar grave sites have been seen throughout Britain, with 14 such examples found in the last few decades, according to The Independent. The researchers say it may also be that the young warrior was the victim of a ritual murder. For now, however, the real story behind the burial remains a mystery. The MAP team is planning in-depth investigations of the sites in the months to come, with the hope that scientific tests will help to provide some answers. WHAT DO WE KNOW ABOUT IRON AGE BRITAIN? The Iron Age in Britain started around 800BC and finished in 43AD. As suggested by the name, this period saw large scale changes thanks to the introduction of iron working technology. During this period the population of Britain probably exceeded one million. This was made possible by new forms of farming, such as the introduction of new varieties of barley and wheat. The invention of the iron-tipped plough made cultivating crops in heavy clay soils possible for the first time. Some of the major advances during included the introduction of the potter's wheel, the lathe (used for woodworking) and rotary quern for grinding grain. There are nearly 3,000 Iron Age hill forts in the UK. Some were used as permanent settlements, others were used as sites for gatherings, trade and religious activities. At the time most people were living in small farmsteads with extended families. 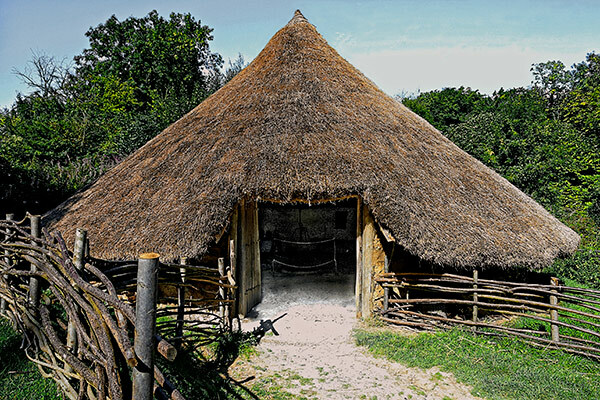 The standard house was a roundhouse, made of timber or stone with a thatch or turf roof. Burial practices were varied but it seems most people were disposed of by 'excarnation' - meaning they were left deliberately exposed. There are also some bog bodies preserved from this period, which show evidence of violent deaths in the form of ritual and sacrificial killing. Towards the end of this period there was increasing Roman influence from the western Mediterranean and southern France. It seems that before the Roman conquest of England in 43AD they had already established connections with lots of tribes and could have exerted a degree of political influence. After 43AD all of Wales and England below Hadrian's Wall became part of the Roman empire, while Iron Age life in Scotland and Ireland continued for longer.